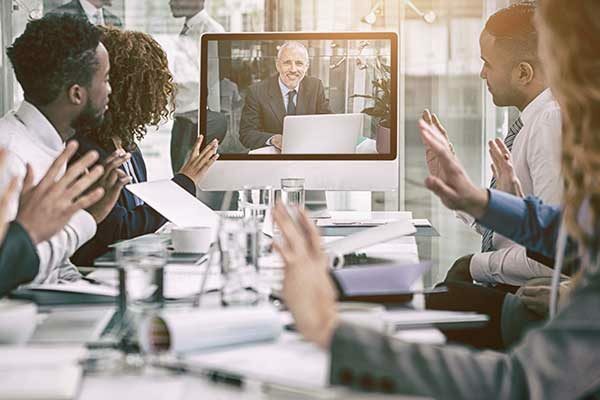 With today’s workplace becoming more global and spread out than ever before, video conferencing has become a standard part of workplace communication. Whether you are new at the practice or a seasoned veteran, there are some simple but important best practices to follow to ensure a smooth and professional experience every time. A successful video call starts with the quality of your local setup. For high quality calls from the desktop, start by connecting a HD USB webcam and a USB Headset with Microphone to your laptop. You can find some great solutions on Video Conferencing Australia. You’re now all set up and ready for your video call! Test your camera and microphone (using your video conferencing app) to ensure that everything is working correctly. Preferably, this should be done before the day of the meeting to allow time to fix any technical problems you might discover. Chances are your workplace has a video-enabled conference room or a meeting space that you can use when you need to jump on a video call. In cases where you are working from home or taking a video call outside of the corporate board room, you may have to make do with less than perfect conditions. When taking a video call at your desk or from a mobile device, it’s important to make your environment as professional and distraction free as possible. Take calls in a quiet corner with a neutral wall behind you. Avoid crowded areas, noisy and messy environments, or backdrops with too many colours/strong patterns. 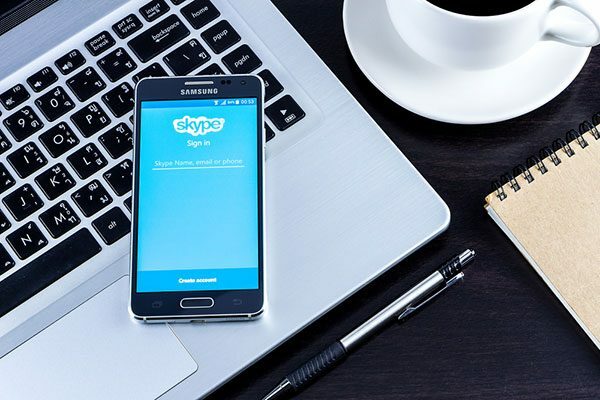 If you’re joining an internal video call with your peers, it’s likely that you will all be using the same video app. However, when it comes to external clients, business partners or vendors, this may not be the case. When video calling with an external party, it’s important to verify the system/software they are using to ensure that you have a compatible way to connect with them. Most video systems are standards-based, meaning they will be able to communicate with most other systems. However, some solutions are proprietary, meaning it won’t be interoperable natively. If you and your participants are using different video platforms, you may need to be invited to use their video app. If this isn’t an option, as a last resort you might need to call for the help of a video bridging service. It goes without saying that you should be clean and well-groomed when attending a video conference. However, when it comes to video, your appearance is not just about looking professional. You also need to consider how things will look on camera. Solid coloured clothing with no patterns is best for video calls. Strong patterns can look distorted on camera and are distracting for the viewer to look at. Your clothing should also be a contrasting colour to the background to avoid the dreaded “talking head” effect. Ideally, you want to sit far enough away from the camera that your upper body can be seen. This is more comfortable for the viewer and allows extra expression through hand gestures. You’ve already chosen a quiet location and removed background distractions, but what about the distractions on your screen? It can be tempting to answer emails, check your phone, or work on something else while on a video call, but all of these things should be avoided. Remember that you are on camera at all times, and people will likely notice if you are not paying attention. Many people fall into the trap of looking at themselves in the preview window when they speak, or reading from notes. Remember to look straight into the lens when it’s your turn to speak. Eye contact is not only respectful, but it is much more engaging for your participants. Looking away from the camera when you speak can make you appear distracted, unprepared or disinterested. It’s common courtesy on any conference call to mute yourself unless you are speaking. This reduces interference and background noise for everyone on the call. 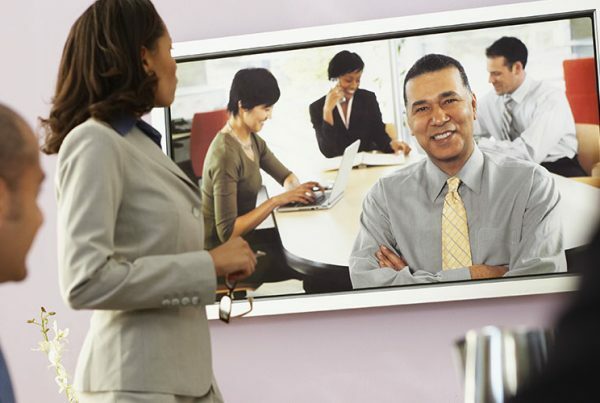 Video conferencing can be used for more than just video calls! Most video applications also allow team collaboration through messaging, data sharing, white boarding, file transfer and more. Make use of all the collaboration features to ensure your meetings are compelling, easy to follow and productive. Many video conferencing platforms also have recording capabilities, allowing you to record your video meetings. 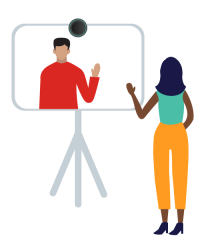 If some participants are not able to attend your meeting, you can record it and share the link with them for later viewing. This is also helpful for minute taking or if you need to refer back to something. If you are going to record the call, it is courteous to inform everyone at the beginning of the meeting. Video conferencing is not rocket science. At the end of the day, many of the same rules apply to video calls and in-person meetings. Following the tips and best practices above will ensure you have a seamless and professional call. If you need help finding a video solution that fits your needs, installing video conferencing in your meeting room or bridging a video call, get in touch with Chorus Call Australia today!